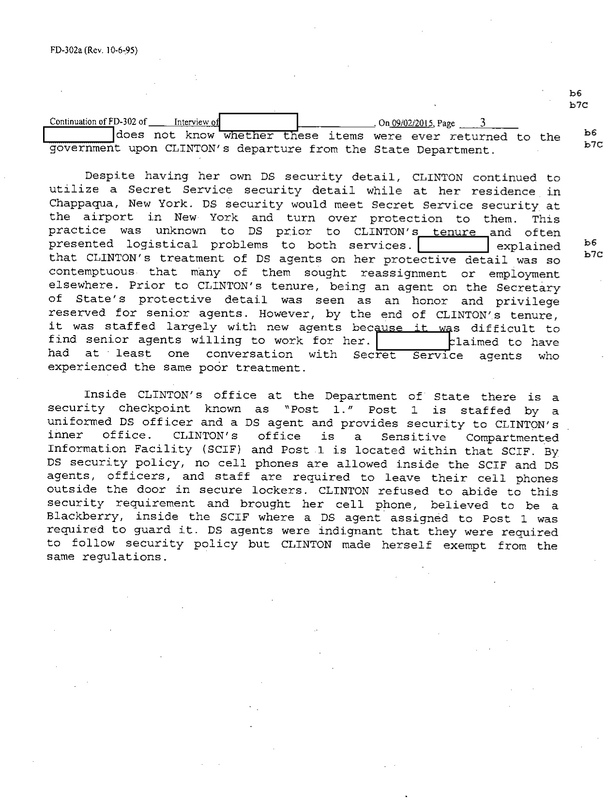 [ ] explained that CLINTON’s treatment of DS [Department of State] agents on her protective detail was so contemptuous that many of them sought reassignment or employment elsewhere. Prior to CLINTON’s tenure, being an agent on the Secretary of State’s protective detail was seen as an honor and a privilege reserved for senior agents. However, by the end of CLINTON’s tenure, it was staffed largely with new agents because it was difficult to find senior agents willing to work with her. That, apparently, is what passes for leadership in the Democratic Party. Can anyone explain why this disgusting woman is considered a plausible candidate for the presidency?